Sue the Tyrannosaurus is most definitely not hidden away, and occupies a place of pride in the museum’s main entrance hall. Sue is undeniably a great fossil, although I (and I suspect probably some other palaeontologists as well) have mixed feelings about this fossil: it’s incredibly well preserved, but the intense backstory to Sue’s acquisition is filled with several unpleasant twists and turns. 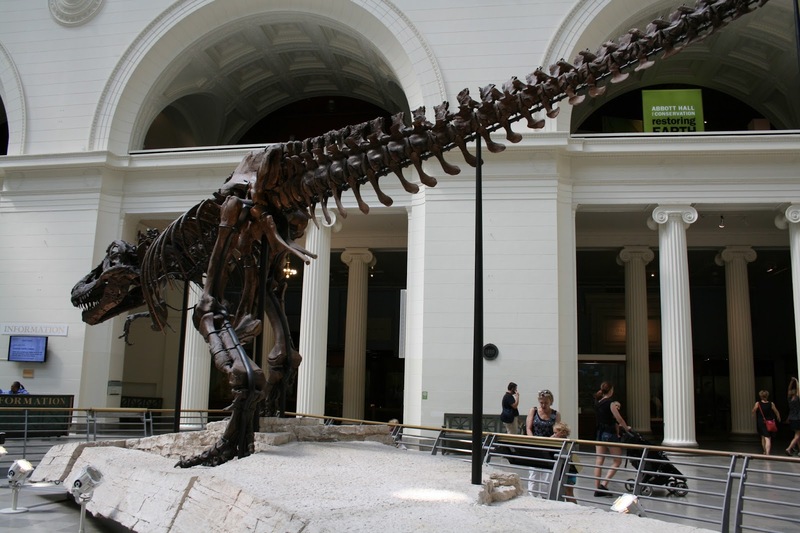 I’m glad Sue found a home in a museum, but I wish it hadn’t been placed up for auction – Sue’s auctioning may not have directly led to the trend of putting dinosaurs up for auction for millions of dollars, but I feel like it set a bad precedent all the same. One thing that’s particularly enjoyable about this specific Tyrannosaurus skeleton are the abundant pathologies to be found. Sue has a busted/infected shin, holes in its jaw, and rough bumpy spots on its vertebrae. These vertebrae near the end of the tail have a big mass of crinkly bone around them. 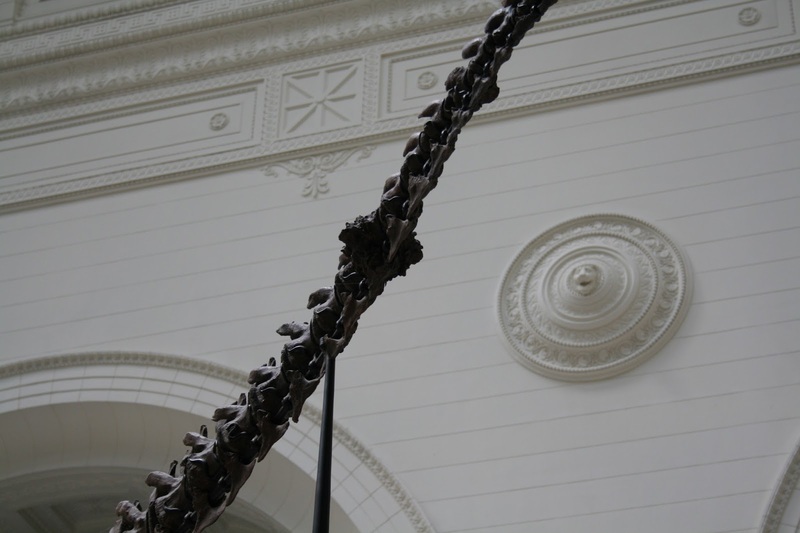 It’s obvious Sue got up to some trouble during its life, and it’s interesting to speculate on the causes of the various oddities in the skeleton (and indeed, others have!). Sadly, this exhibit is tucked so far out of the way that basically nobody had wandered back there besides me (you need to go through the conservation gallery to reach it). It’s also a little bit specimen-sparse, a trend I’ve noticed recently in many museums and which I find somewhat concerning. However, I feel like it makes up for the lack of 3D objects in its cool and unusual subject matter – the extinct fauna of Madagascar. 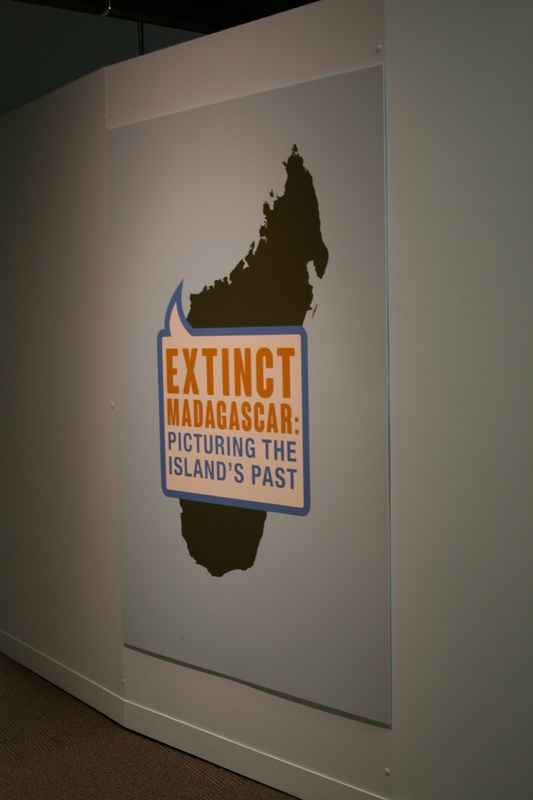 The main point to the gallery was showcasing the social media response to new images of Madagascar’s prehistory, and the scientific process that went into those images. 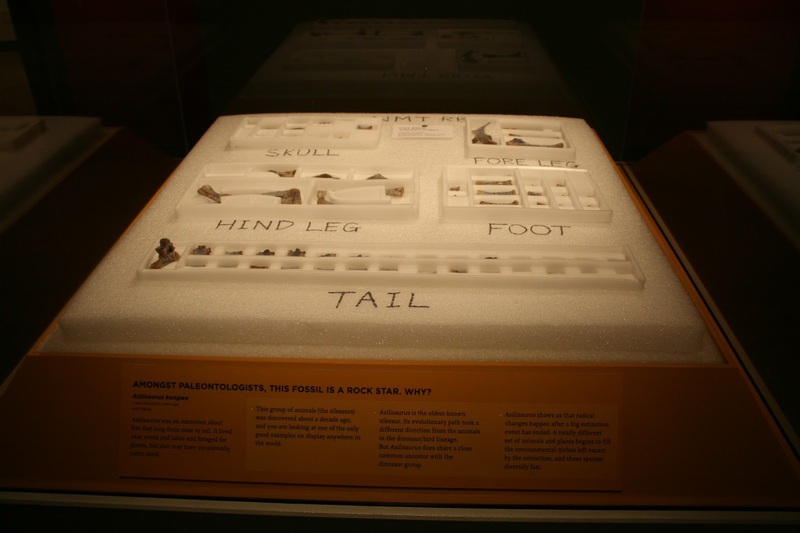 It was an interesting way to approach the topic, but might have been more compelling with video, audio, or more fossils. 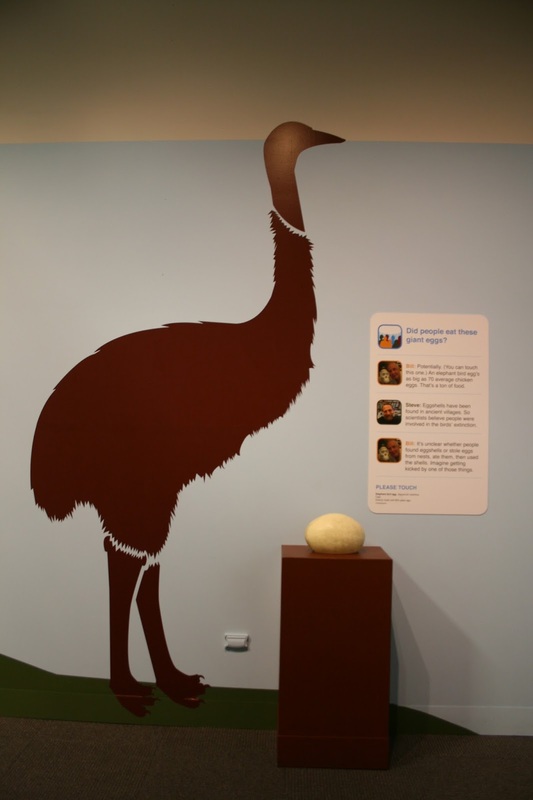 It was pretty cool to see an Aepyornis (elephant bird) egg and life-size silhouette. They really were terrifyingly large and strange birds. 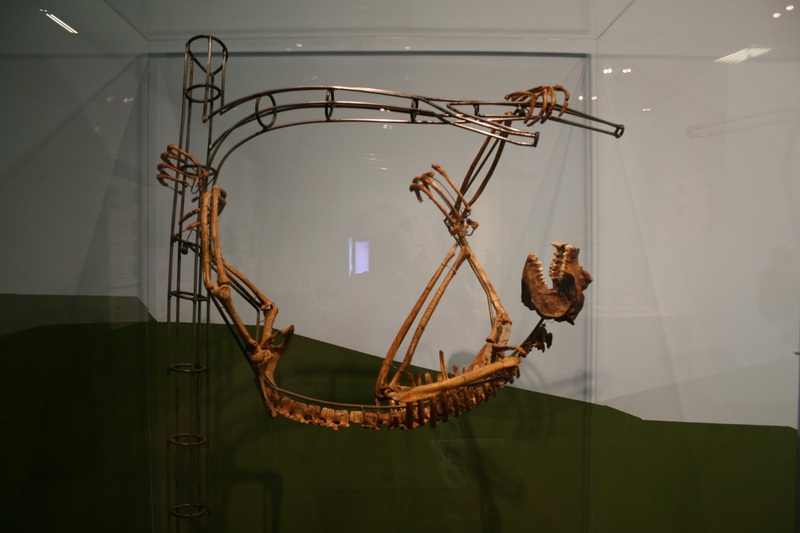 A highlight for me was this Palaeopropithecus skeleton – a lemur that lived and looked like a sloth. 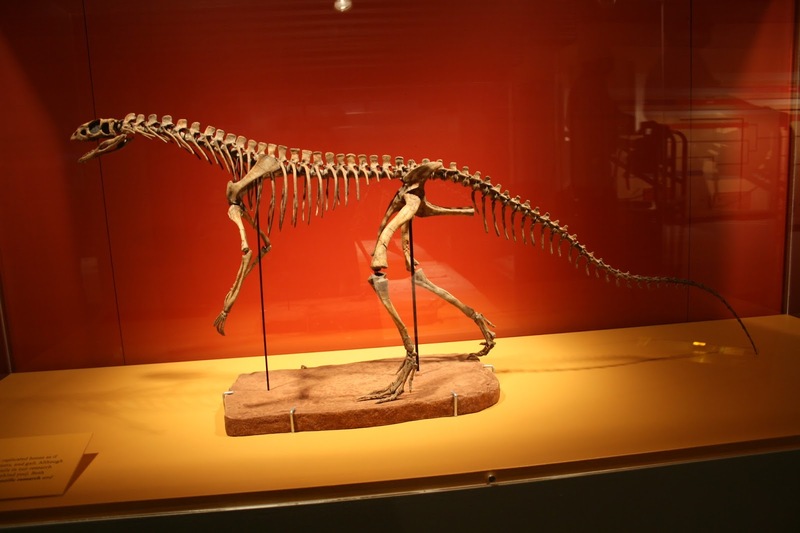 Tucked away in the African mammals area was a room devoted to palaeontological fieldwork in Tanzania, featuring the newly described silesaurid Asilisaurus! This isn’t a skeleton you’re going to see in most museums – I only wish more people had been stepping into this little exhibit room to check it out. A nice touch was showing the original fossil material in its cabinet-ready storage foam. Those are some nice fossils. I LOVE the Field Museum! 🙂 I did see the Asilisaurus, when I was there last month! The Field Museum had those vacuum-plastic dino makers when I was a kid (late 50s or early 60s). I still have my stegosaurus from back then. When I visited Chicago in 2006, I got another stego. It stands on a shelf next to the one from my childhood — and the odd thing is that though one is golden brown and the other is orange, they are otherwise identical in every way except that the newer one is smaller! Every bump, wrinkle, and plate is the same, only smaller…..
Great blog post! There was so much to see at the museum, I'm really only scratching the surface here! 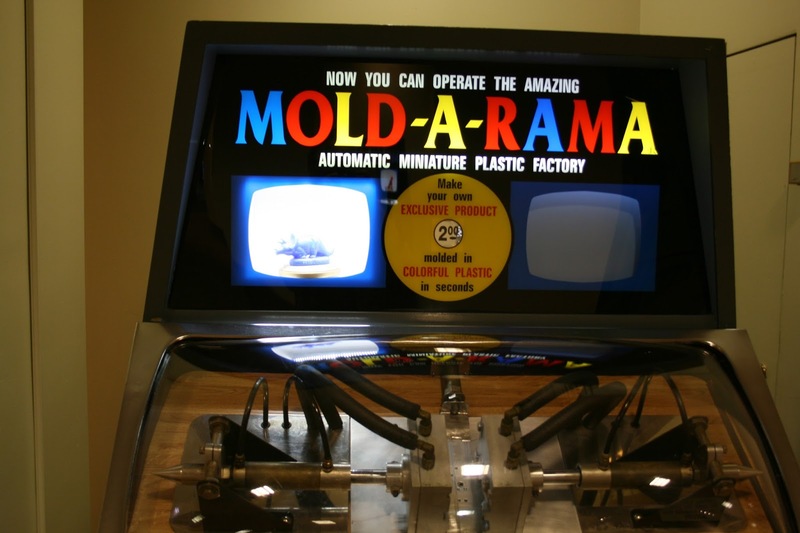 I also had a Mold-A-Rama (or related company) dinosaur from when I was younger – a grey Stegosaurus that I got from a science museum in Florida. Still have it, and still think it's awesome. I want a moldorama! Totally didn't think those existed anymore. The AMNH has plenty of pressed penny machines but nothing like that! Thanks. 🙂 Yes — SO much to see — I spent two afternoons there (until overload! ), and still didn't begin to even stroll by everything, let alone actually give it some serious attention. I bet they had one, back in the day. As I recall it, the moldoramas were right there beside the squashed-penny machines. I remember seeing a bust of Abraham Lincoln, and a locomotive engine, somewhere…. I was thrilled when I discovered the Field Museum still had a moldorama that would make me a stegosaurus, 9 years ago, and pleased to see them last month, too, though I didn't use one this time.